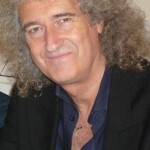 Brian May of Queen taken at Dimbola Museum and Gallery, Freshwater IW when he visited together with his wife Anita Dobson. In 1968 the embryonic Queen were formed in college under the moniker Smile. 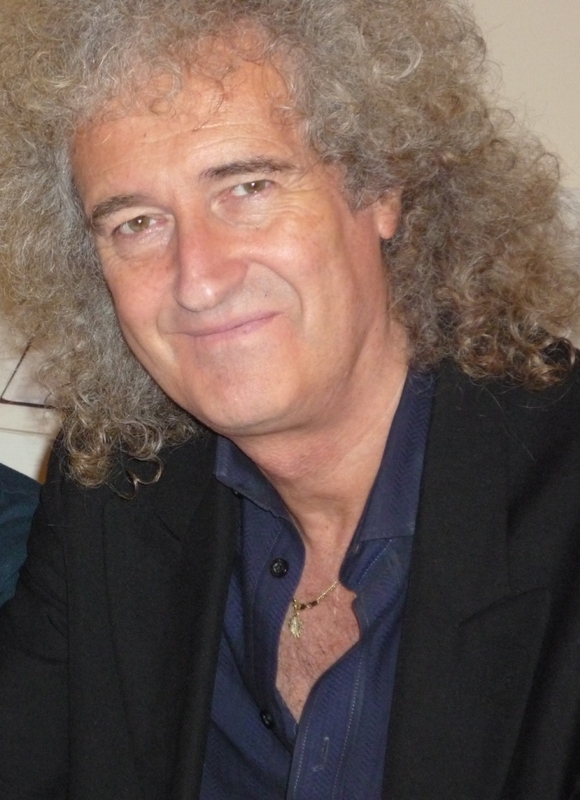 Initially it was guitarist Brian May (pictured above) and drummer Roger Taylor. When the original vocalist departed, Zanzibar-born Freddie Mercury was recruited. A number of bassists were trialled before John Deacon became the permanent fourth member. Come 1972 and following months of secret rehearsals the four former students emerged as Queen, a name that was Freddie’s brainchild. In early 1974 they scored their first hit single with Seven Seas of Rhye taken from their first hit album Queen 2. A week later their eponymous debut album entered the chart. Later in the year Killer Queen reached Number 2 heralding the success of the parent album Sheer Heart Attack, which also contained the Brian May masterpiece Brighton Rock as the opening track. A year later the six minute rock opera smash hit Bohemian Rhapsody took pole position for nine weeks selling 1 million+ copies. Who can forget the accompanying and innovative video, and DJ Kenny Everett’s strong promotion. Summer 1976 saw Queen play a free concert in Hyde Park, London, before 150K fans. Another high point was their acclaimed performance at Live Aid in July 1985. While they were loved by the public the press was less enthusiastic. With the death of their mercurial leader in late 1991 it appeared to be the end of the road for the band. They did, however, manage to mount ‘A Concert for Life’ the following summer. Queen rose, phoenix-like, in 1997 with the remaining trio making new music. When they took to the road again it was with Paul Rodgers as vocalist, an experiment that was not entirely successful. 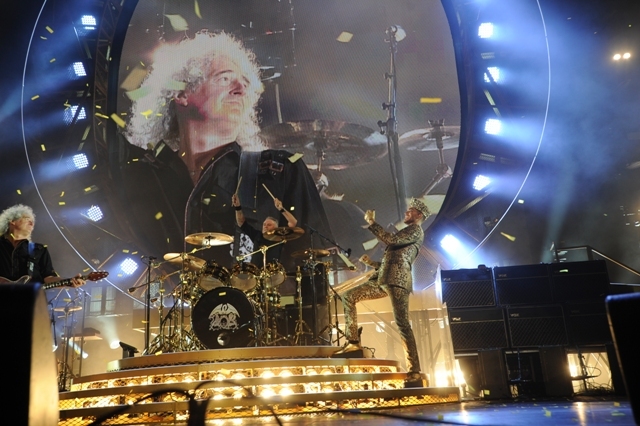 In their present guise, minus John Deacon, they have Adam Lambert out front performing vocal duties. 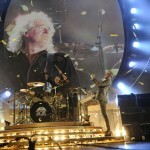 To date Queen has racked up nine Number 1 albums (25 Top Ten) and six Number 1 singles with 26 Top Ten hits. When they appear at Seaclose at next year’s IW Festival on the 12th June many hope they will live up to their loud boast ‘We Will Rock You’. This is their first ever festival and their only UK show next year. It will also coincide with HM the Queen’s official birthday to celebrate her 90 years. 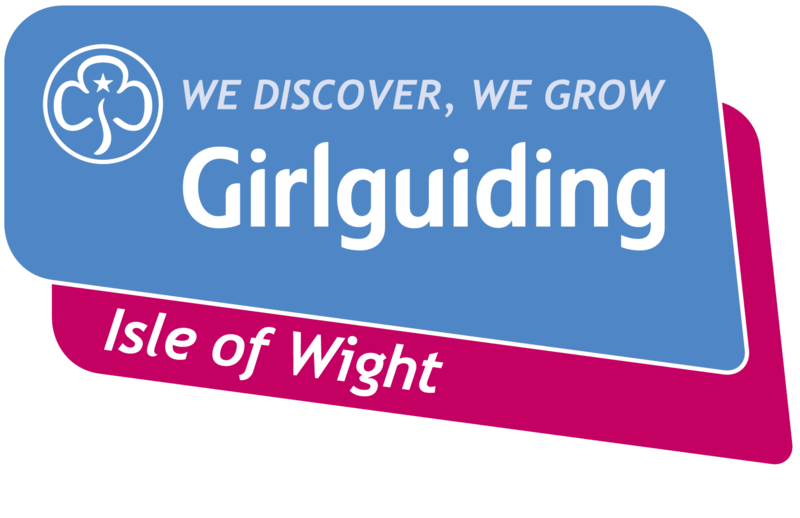 (She is actually 90 years old on 21st of April 2016) Street parties are planned around the country for June and Her Majesty will be hosting a reception for 600 guests from the UK charities which have the Queen as patron, one of which is Girlguiding.